Over the past few years, e-commerce has transformed the way we buy and sell online. Online shopping is currently one of the largest – and most steadily growing – industries on the web and on mobile platforms. Naturally, app developers are excited by the prospects that mobile commerce platforms bring. A shopping platform doesn’t seem like a big deal until you consider the technical complexity of developing an online store. A typical marketplace doesn’t hold any responsibility for shipping products advertised on it. It’s neither liable for content posted in the app nor does it have any control over items listed. All you need to do to get your mobile commerce business up and running is find buyers and connect them with shoppers… and you’re good to go! Not difficult at all. But wait. Why, then, do so many shopping apps fail? And why do even big names in e-commerce like Wish struggle to retain users? 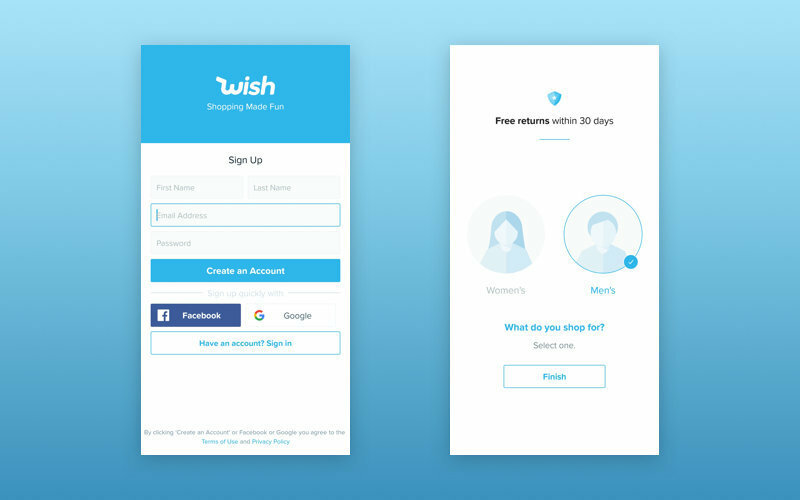 In this article, we give insights into how to create a mobile marketplace app by examining what one of the largest shopping platforms, Wish.com, does well and where it fails. In the end, we list some tips that can guide you through your own shopping app development experience. Wish is a mobile app for online shopping that’s based in San Francisco. It’s the leading e-commerce platform, with 500 million users, 75 million monthly active users, and more than one million merchants. In total, Wish has raised $1.3 billion in eight funding rounds. In 2017, the company hit $1 billion in revenue and was reported to be worth $8.5 billion. Founded in 2010, Wish started as an app that allowed users to create lists of items they would like to purchase later. Using Wish, users could visit the website of a merchant and buy goods directly from the merchant’s website. Soon, Wish implemented crowdsourced recommendations and started promoting goods similar to those in a user’s wishlist. As the company scaled, it started establishing partnerships with merchants, giving users the opportunity to buy goods directly from the Wish app. Steep discounts and extremely good bargains are the distinctive features of the platform. On Wish, users can find everything from wool sweaters to Chanel No. 5, duct tape, and MacBook Airs. Such a large variety of goods can easily be explained – the company works with manufacturers, brand owners, retailers, crafters, creators, and artists. What’s so special about the Wish business model that makes their products thrive in a competitive e-commerce industry? What would it take to make an app like Wish? Wish has a marketplace business model, so it’s a mediator between merchants and buyers. It’s not responsible or liable for any content published by merchants. Merchants are directly responsible for providing e-commerce services to their clients. In other words, the Wish app only connects buyers and sellers but isn’t directly involved in transactions between them. Previously, Wish worked as a wishlist app that used a cost-per-click revenue model. When it became possible to buy goods directly on Wish, the platform started charging sellers 15% of each purchase. Wish is a rapidly developing platform that functions on iOS and Android. Let’s find out the main approaches that make Wish thrive. When Wish co-founders Peter Szulczewski and Danny Zhang describe their recipe for success, they say that they used the principle of mall browsing to attract potential clients. What do they mean by “mall browsing”? Imagine you enter a physical store and see a wide variety of goods, all of which look pretty attractive. You don’t need all the chips and soap and furniture nicely displayed in front of you, but there’s always something special that pushes you toward buying these items. Many of us don’t write shopping lists. We tend to decide what we’ll buy only when we actually see it. Brick-and-mortar businesses like Walmart have been using this principle successfully to generate serious revenue for a long time. It’s all about displaying goods in the right way and targeting impulsive buyers, or people who care about low prices more than they care about specific brands or a product’s pedigree. One more strategic decision that characterizes Wish is its multi-app approach. There are six mobile commerce applications that belong to the Wish platform, each of which sells different products. 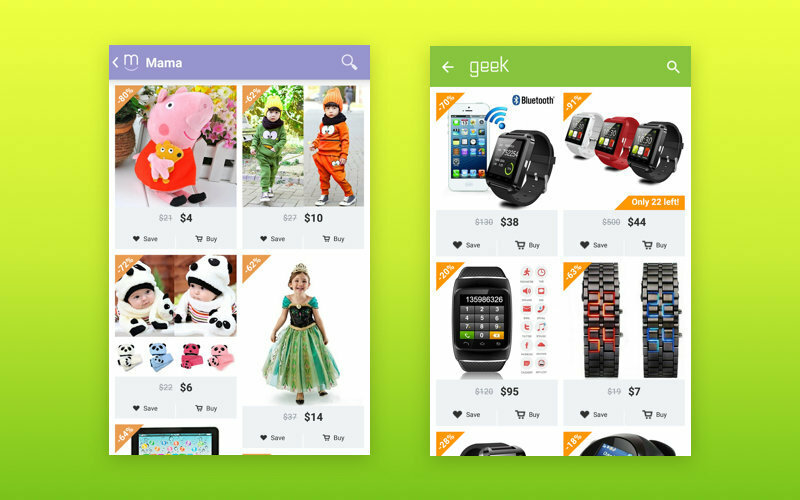 Wish – Shopping Made Fun is the most advertised app. It offers a lot of different product categories (makeup and beauty, gadgets, watches, fashion, shoes, wallets and bags, etc.). Geek – Smarter Shopping is a sub-division offering technology including phones, watches, smartwatches, flashlights, and certain accessories for them. Mama – Thoughtful Shopping is identical to the Shopping Made Fun app in a lot of ways, but it targets mothers and mothers-to-be with a selection of maternity clothes and goods for babies and toddlers. Cute – Beauty Shopping concentrates on beauty products, cosmetics, accessories, and clothes. Home – Design and Decor offers a wide selection of home accessories and is divided into subclasses based on the part of the house: kitchen, bedroom, bathroom, etc. Wish for Merchants – Like Amazon and eBay, Wish also has a separate mobile app for sellers. Today, a lot of popular social networks and websites use a multi-app approach. For example, Facebook offers a separate Messenger app for phones and tablets because they discovered that by creating several apps that each perform a single function they can better cater to their users’ needs. Wish, on the contrary, is all about creating numerous clones of their main app. These clones theoretically offer different goods, but in reality, they mostly provide better exposure to the same set of items. Even when users plan to shop for a particular type of item, they are likely to be tempted by attractive things that weren’t initially on their mind. Keep in mind that the strategy of creating many variants of an app may attract some customers while irritating others. One of the main pain points of marketplace apps like Wish is that merchants and sellers can find each other on the platform and then seal the deal outside the platform. Wish does its utmost to prevent this. First, it doesn’t show any information about a store expect its name, a list of goods, and reviews. Second, it doesn’t have a chat feature for shoppers and sellers. If a seller needs additional information to process an order, they need to contact customer support and get a ticket that allows them to write to the buyer. In the same way, shoppers can contact sellers only after getting a ticket. Wish asks both parties not to share personal information in these messages. The most successful shopping app in the Wish line of products is the app with the tagline “Shopping Made Fun. It has a simple and user-friendly interface with menus that look strikingly similar to social networking mobile apps (Facebook, in particular). Let’s look at the major features of Shopping Made Fun. To make sure that every user finds exactly what they’re looking for, the main Wish app uses a set of personalized filters. During registration, besides general information like email and first name, the app asks for the user’s gender. When registration is complete, Wish shows products that are the most popular among men or women (depending on the gender chosen). Users can then choose a category they want to browse or keep browsing on the Popular page. People are most likely to browse mobile apps on the go and make impulsive decisions, which means that by showing as many different items as possible, the Wish app wins where other e-commerce businesses lose. Szulczewski says that Wish’s successful recipe comes from the fact that all their customers are feeding useful data back into the system not only when they choose goods they like but also when they reject options that they don’t like. The company developed an optimization algorithm that gets new data on a massive scale and quickly learns how to offer the most relevant goods to each customer. On an item card, a user can view related items in the Related tab. Wish has quite a lot of useful filters that help users find items. Users can choose items by category and apply two types of filters: color and product rating. After a user has reviewed several items on Wish, the app starts showing related items in the Popular tab. When users see something they like on Wish, they have several options – they can save the item to their wishlist, share it via social networks or Messenger, or add it to their shopping cart by pressing buy. People are spoiled by the fast and convenient checkout provided by Amazon and eBay and tend to expect the same level of usability from other e-commerce projects. 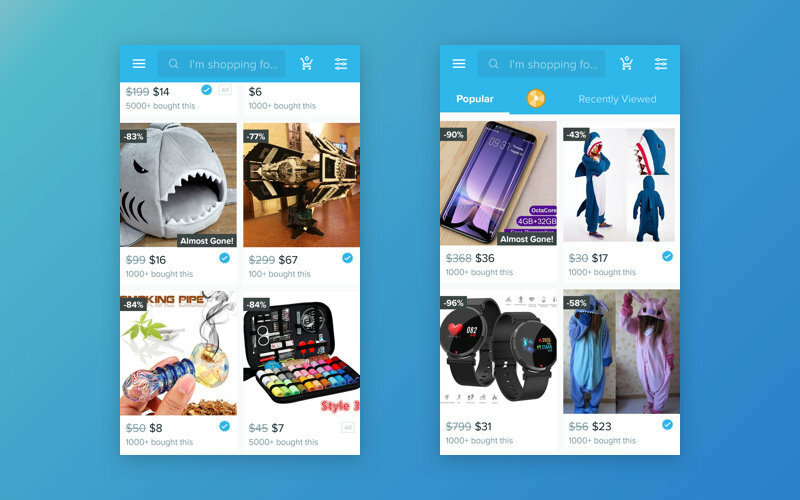 To provide users with a convenient way to check out, Wish has several payment mechanisms. It accepts payments through Apple Pay, Android Pay, PayPal, Klarna, Ebanx, iDeal, and most debit cards. To receive payments, Wish integrated Stripe into their mobile app and digital web shop. Marketplace app development isn’t just about the technology stack. To develop a shopping app, you have to know how to deal with delivery and tracking. Wish is similar to eBay in that it requires sellers and merchants to handle shipping. Previously, shipping delays were the company’s Achilles heel. A lot of users complained that shipments were never delivered in the time frame shown in the app. This became the main reason for poor reviews on Google Play and the App Store. Wish management tried to find a solution to this problem, even though the company doesn’t take responsibility for delivery services. They announced strict rules for merchants. All orders must be fulfilled within five days; otherwise, the order will be refunded, the product will be disabled, and the merchant will be fined $50 per automatically refunded order. These restrictive measures also apply if a merchant adds fake tracking numbers. Also, in case an order isn’t confirmed by the carrier within 168 hours after it’s released, the merchant will be fined 20% of the order price. The merchant is also fined if they fulfil orders with fake tracking numbers. On its FAQ page, Wish says that orders are typically shipped within one or two days, but it greatly depends on the individual store and the destination. Wish provides users with order history, a full list of current orders, their tracking numbers, and approximate dates of shipment. This has helped Wish to improve shipping on the platform. Even though the number of negative reviews regarding shipment delays has dramatically decreased, some users still complain that shipments arrive after the scheduled date. If you’re thinking about how to develop a shopping app similar to Wish, consider gamification as an effective tool to increase user engagement and loyalty. Wish uses two methods of gamification that make users visit the app regularly. 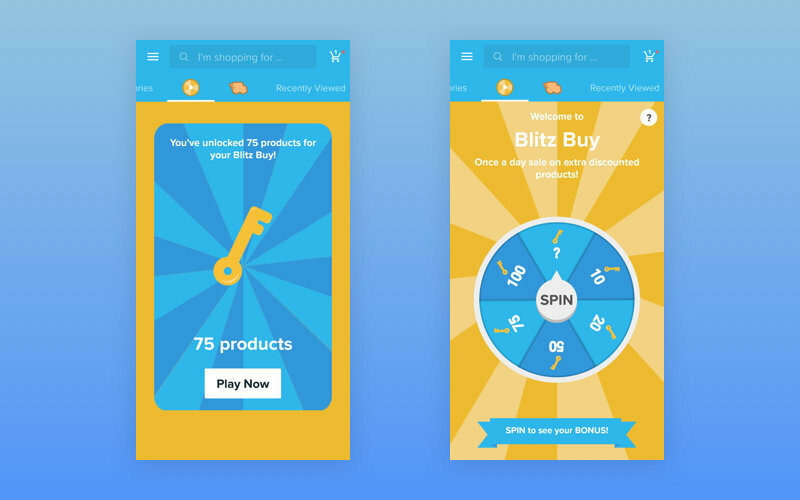 Blitz Buy is a spinning wheel that shows a set of extra-discounted products. When a user spins the wheel, they’re offered from 10 to 100 extremely cheap products that can be added to the cart within a certain period of time. 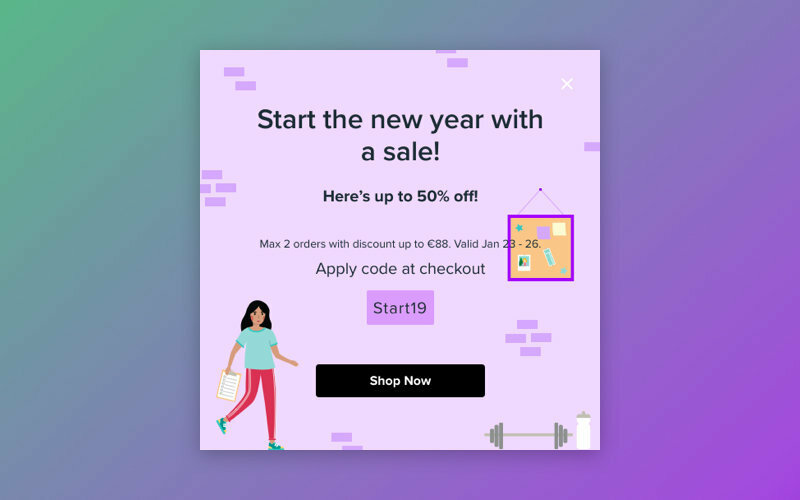 Limited time offers, used in many e-commerce stores, make purchases seem more valuable and important and encourage users to make impulse purchases. Also, the ability to use this feature only once a day make shoppers use the app daily. This feature incentivizes shoppers to use the app daily. Every day a user enters the app, they get a beautiful stamp. 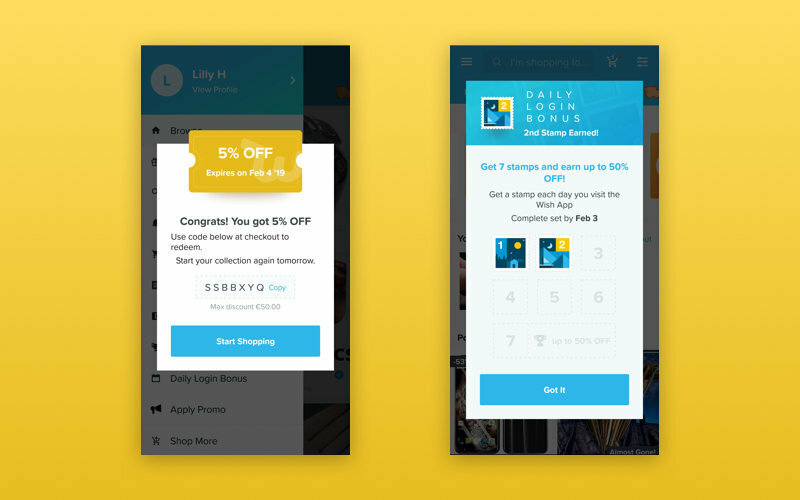 When a user enters the app seven days in a row, they collect all the stamps and get 50% off on any one item. But it doesn’t mean that merchants get paid less in case a shopper has bought his item with 50% off. All merchant initially set the price for their items, so Wish always pays the price merchants set for their items. As you can see, a lot of Wish’s efforts are focused on providing a convenient way to buy on the platform. But does Wish offer an equally convenient way to sell? It’s clear that the main reason why shoppers user Wish is the large variety of cheap goods and no fees. But what are the reasons for merchants to sell on Wish? Sellers can reach out to a huge base of users. Starting as a wish list, Wish attracted a large number of users. So when Wish switched to the marketplace business model, it already had a large user base. This became the main reason for merchants to sell on Wish, especially for new merchants. Wish charges a fee only if a product is sold, so there’s no need to pay for posting goods on the service. As we mentioned earlier, Wish has a separate app for merchants. Unlike eBay, which has a number of applications to help merchants (Market Analyzer provides full information about competitors, Feedback Pro reminds customers to leave feedback and alerts merchants when they do, etc. ), Wish has only one app to manage and analyze orders. Let’s look closer at this app. The Wish for Merchants app is available only for Android, so it loses sellers with Apple devices. Merchant registration is available only via the website. To register, merchants need to provide personal information including an email, phone number, first name, and last name. To ensure the high quality of goods, Wish created a list of merchant criteria. Every merchant on the platform needs to meet these criteria in order to sell on Wish. For instance, there’s a list of prohibited items that includes lighters, weapons, bike and motorcycle helmets, alcohol, and tobacco. Once sellers have registered, they can use the Wish for Merchants app to monitor their accounts. It’s important to note that Wish app customers can rate both stores and their products in the app. 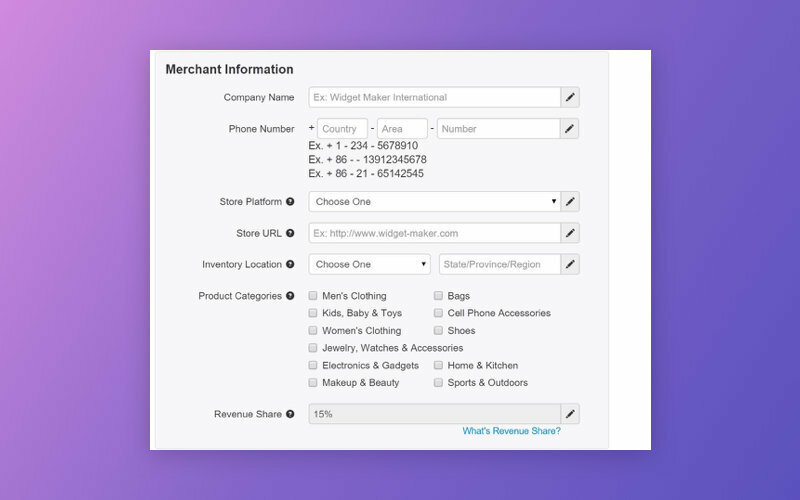 If you want to develop separate apps for merchants and buyers, make sure that both applications work smoothly. While most reviews of the main Wish app are positive, Wish for Merchants receives a lot of complaints. First, there’s a major problem with the native Android app. The Wish for Merchants app has a serious problem with the login feature. According to reviews on Google Play, sellers struggle with logging in to their profiles. They also complain of poor customer support and an unfair refund process. The fact that Wish refunds buyers even if the buyer made a wrong order makes some merchants avoid the platform. To prevent this issue, set clear and fair terms of services for your e-commerce platform. On the other hand, Wish also protects its providers. If there are more than two refunds for the same customer, a seller can report customer fraud. If the merchant’s dispute is approved, the refund amount will go back to the merchant. What can we learn from Wish? Tip #1 Multiplying your product by creating “clone apps” may help with growing the number of clients, but make sure you can offer something unique in each of your apps or websites. Tip #2 Don’t forget that your online marketplace like Wish needs to attract both merchants and buyers. Provide merchants with an equally high level of service and customer support. Tip #3 Payment options should be clear and reliable. People are more likely to trust systems like PayPal than an unknown checkout system whose reliability and security may be questionable. Tip #4 Customer support should work like a clock. Users may be willing to sacrifice fast delivery for a good bargain, but make sure they get what they pay for. Tip #5 Create your own system of badges and rewards not just for customers but also for sellers and make your sellers compete the way business owners do offline. Don’t let a single bad seller drag down your app rating. Tip #6 User-friendly and colorful design attracts attention but won’t help you keep a client if delivery is weak. Tip #7 Prevent cases when a shopper and seller find each other via your app but make a deal off the platform. Some people do this to avoid paying service fees. Even though Wish customer reviews are somewhat contradictory, the project itself shows steady growth and can serve as a good example of how to generate sales and efficiently compete on the market. 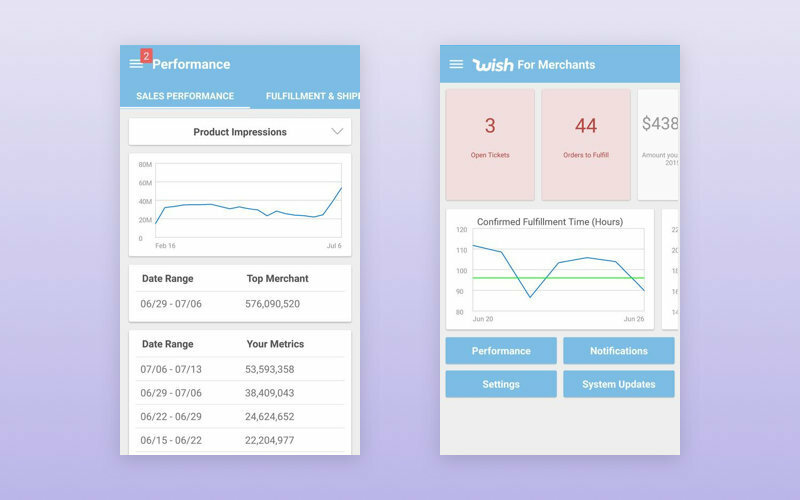 By considering all aspects of how Wish developed their business, you’ll be able to build a mobile app like Wish but with improved performance and better customer experience.